Commentator • Utah Republican won't have his own TV show but will be a frequent contributor. Leah Hogsten | The Salt Lake Tribune Rep. Jason Chaffetz, seated next to his wife Julie, told members of the media at his home in Alpine during an impromptu press conference that he was leaving Congress to spend more time with his family. Chaffetz announced Thursday May 18, 2017 that he will step down from office June 30. 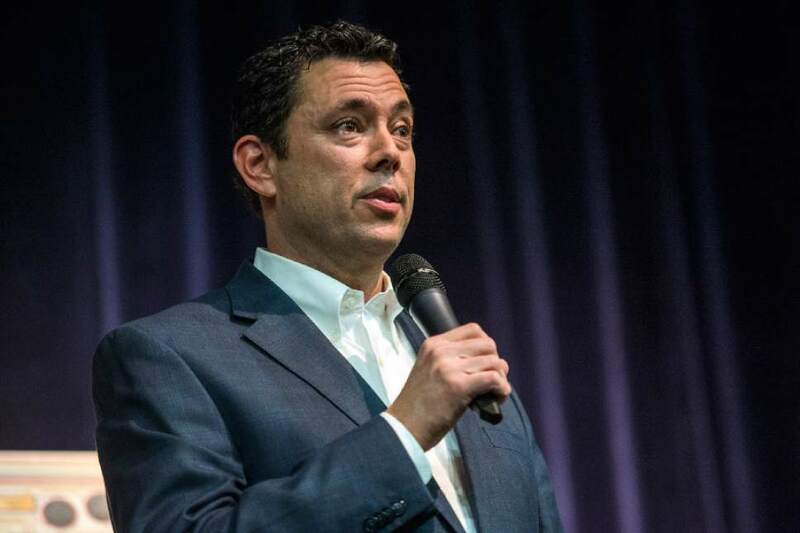 In a letter to constituents, the Utah Republican and chairman of the House Oversight and Government Reform Committee, said he did not want a "lifetime career" in Congress, although it is rumored that he is in talks about a job with Fox News and hasn't ruled out a race for Utah governor in 2020. 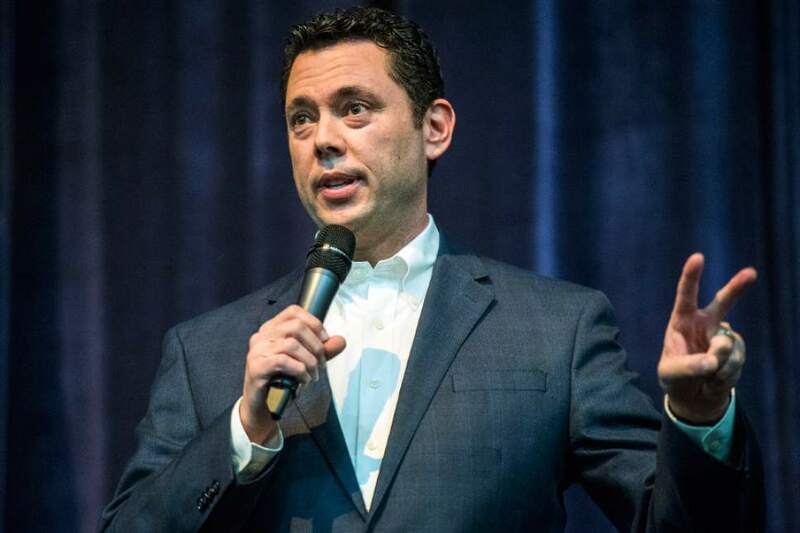 Chris Detrick | The Salt Lake Tribune U.S. Rep. Jason Chaffetz, R-Utah, speaks during the town-hall meeting in Brighton High School Thursday February 9, 2017. Chris Detrick | The Salt Lake Tribune U.S. Rep. Jason Chaffetz, R-Utah, speaks during the town-hall meeting in Brighton High School Thursday February 9, 2017. Rep. Jason Chaffetz will join Newt Gingrich, Sarah Palin and a host of other contributors as an on-air commentator on Fox News after he leaves Congress, the network announced Wednesday. Chaffetz, who is leaving office six months into his fifth term to spend more time with his family and gear up for a possible 2020 run for Utah governor, will not have his own show but will appear several times a week to talk about the latest political news. While Chaffetz declined to say how much Fox News would pay him, he acknowledged it was an attractive enough paycheck that he wouldn&apos;t need a housing allowance. "They&apos;ve got that covered," Chaffetz said Wednesday, a day after The Hill published an interview in which the Utah Republican suggested that rank-and-file members of Congress  who are paid $174,000 a year  also receive a $2,500 monthly housing allowance to defray the costs of living in Washington, one of the nation&apos;s more expensive cities. "I&apos;m a very popular guy in Congress right now," Chaffetz said with a chuckle. "I&apos;m offered a housing allowance and I&apos;m leaving." Chaffetz will continue to live in Alpine and will do his TV spots from Salt Lake City or wherever he might be traveling in his post-congressional life. The appearances aren&apos;t on any set schedule, though Chaffetz notes that if you&apos;re a Fox News viewer, "You will see me a lot." "It really doesn&apos;t matter where I am as long as they have cameras and there are cameras in Utah," the outgoing congressman said. Beyond the Fox News gig, Chaffetz says he plans to join some corporate boards, go on the speaker circuit, launch a consulting business aimed at helping tech companies navigate Washington and write a book. He says he has a verbal offer from a publishing house and that the book will be informed by his time as chairman of the House Oversight and Government Reform Committee. "It&apos;s not a tell-all [book] about the halls of Congress, but I think I will write about the deep state and the bureaucracy," he said, referring to a conservative complaint about career federal employees&apos; permanent power structure in the government. The book will be out, he said, "hopefully" in late 2018. Chaffetz shocked the Utah political scene, and many of his colleagues, in announcing in April that he wouldn&apos;t run for re-election or any other political post in 2018 and would step down early. As Oversight Committee chairman, the Republican had come under fire for a lack of vigor in investigating President Donald Trump. He said Wednesday that he won&apos;t hold anything back on the air and that he won&apos;t refrain from criticizing Trump or the Republican Party. "I&apos;ve been pretty candid in calling out my party already," he said. "I asked Fox News what they wanted and they said, &apos;just be yourself.&apos; "
Chaffetz noted that he had approached Fox News and another TV network he wouldn&apos;t name about appearing as a pundit but Fox News came back with the better deal. How much? He declined to say and free from congressional requirements, he won&apos;t have to disclose it. "They were very nice to me," he said. "I can&apos;t disclose that, nor do I want to." Chaffetz&apos;s resignation is effective Friday at 8 a.m. Mountain Time. Editor&apos;s note: An earlier version of this story included an erroneous dateline.